I am always looking for natural products for my family, especially my baby. Her sensitive skin needs special attention. 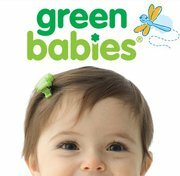 I recently came across a fantastic little company called Green Babies. They have everything you need for your green babies from bath care to organic clothing. They were generous enough to offer me one of their products to review. I received the Energizing Bubble Bath and I couldn't be more impressed with it. The bubble bath I received is made with natural ingredients. There are no synthetic fragrances, phthalaltes, parabens or sulfates. It is pediatrician tested and hypo allergenic. So it will be safe for my older kids and well as my newborn. The fresh baby scent is wonderful for a bath. It has a nice sweet scent but is not overpowering. It creates lots of fun bubbles and leaves the baby's skin feeling soft and clean. But its not just for babies. My older kids enjoyed trying it out as well, and I even found its a great bubble bath to use while I'm pregnant and my skin is more sensitive. If you're looking to stock up on your organic and eco friendly products, Green Babies is a great company to shop with. Not only are their skincare products made with natural ingredients, they are also cruelty free and their bottles are made from recycled materials. Plus you can find lots of other wonderful items for your baby including bedding, toys, clothing and more. 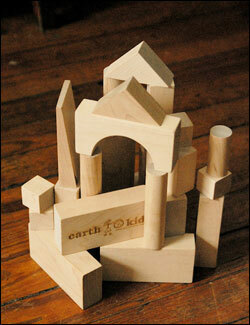 To get some great products for your family and help the enviroment at the same time, keep Green Babies in mind. One lucky winner is going to receive a Green Babies skincare product to try for themselves (company will choose which product is sent). To enter, just visit Green Babies and tell me one item you love. For additional entries, you can do any of the following, but you must complete this initial entry first. Any entries that do not follow these guidelines will be deleted. This giveaway will end at midnight on 6/11/11 and is open to the continental US only. The winner will be chosen via a random number generator. Thanks again to Green Babies for offering this great prize! I'd like to try the calming bubble bath. 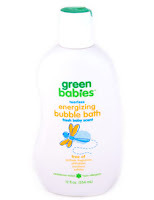 I would really like to try Green Babies Calming Bubble Bath! I subscribed to Green Babies Newsletter. I subscribed to Green Babies YouTube. I like the Buddha Belly onesie. I love the wooden school bus toy! I'd love to try the calming bubble bath! I like Green Babies on FB. I love the Give Peas a Chance bib! super cute! The sage deer bib is awesome! I like New Age Mama on Facebook. Follow Green Babies on You Tube. I'd love to try the Shampoo & Wash. I'm a facebook fan of Green Babies under username Jennie Tilson. I subscribed to Green Babies on YouTube. i love the lotion potion moisturizer. I like the Calming Bubble Bath. I like the Sage Deer Bib. Thanks. I LOVE the blueberry bib!! so adorable!! I love the monkey business collection! So cute! I would like to try the Baby Me Shampoo and Wash. The purple bunting is cute.